“Oh caro sto sol! Co’ lo godo! 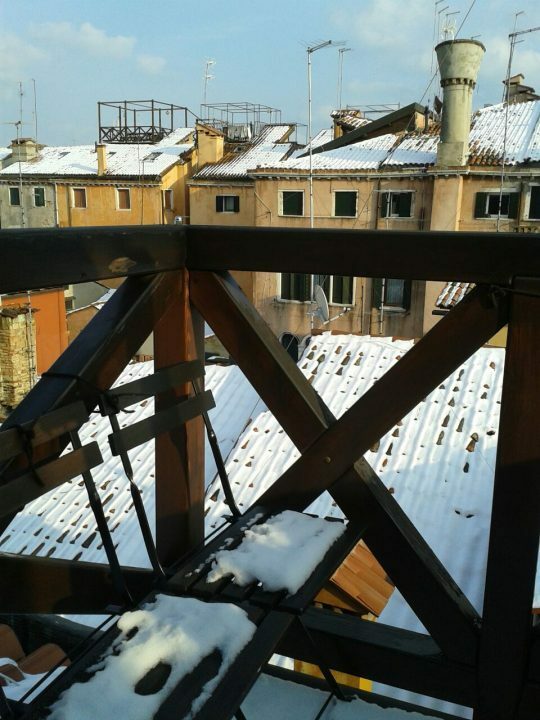 Sia benedetta st’altana!” (“Oh how dear this sun is! How I enjoy it! Bless this altana!”), is what Bettina cries out in the comedy La putta onorata by the great playwright Carlo Goldoni. 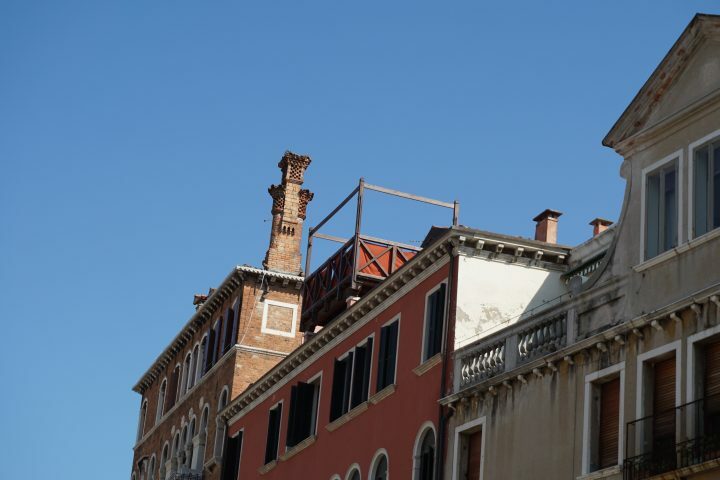 The lagoon city is characterised by an endless number of “altane”, a feature of Venetian buildings which is often, and unjustly, overlooked. 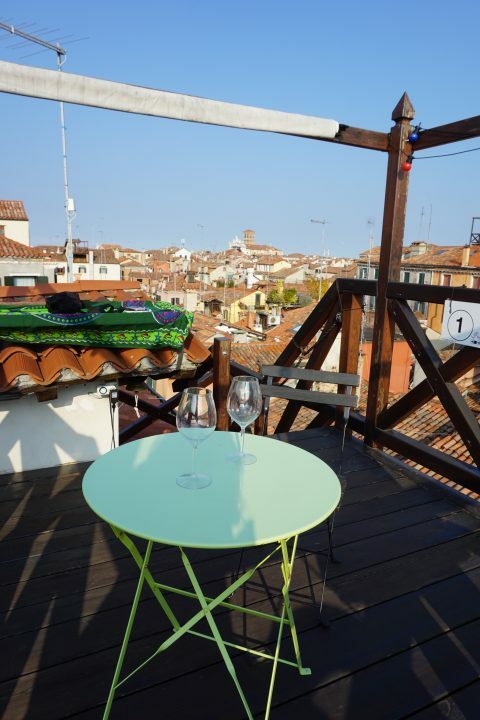 Space in the city is scarce as we know, at times inducing claustrophobia, but as always Venetians like to meet a challenge with creativity and imagination, and so they began building a variety of external ledges, among which the famous altane. 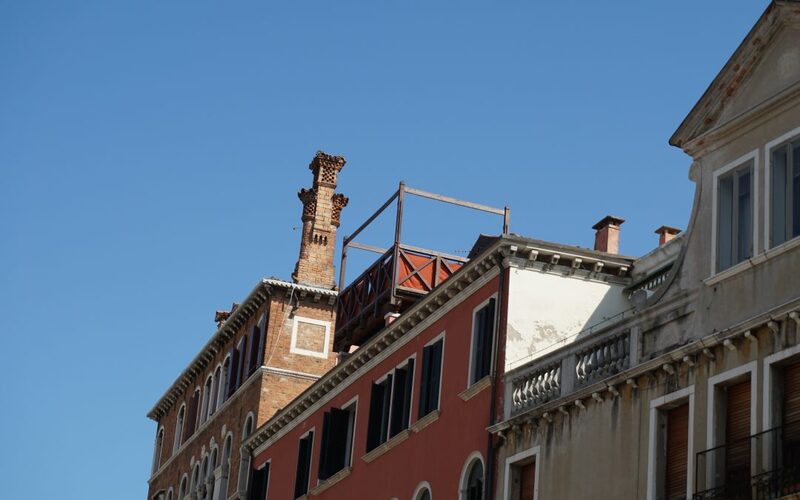 These are best described as terraces which sit on the top of a house’s roof, and if you raise your head as you walk about you’ll see countless of them. Having an altana is great if you want to hang out the washing in the sun, enjoy the fresh air or simply marvel at one of the greatest views on earth. 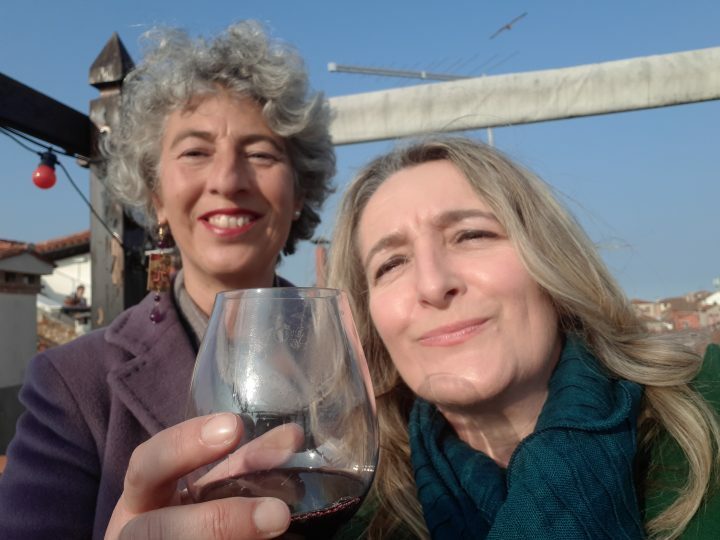 Together with my friend Martina I share a passion for the theatre, for workshops by Venetian director Mattia Berto and for the company of anyone who has a deep and genuine love for Venice. 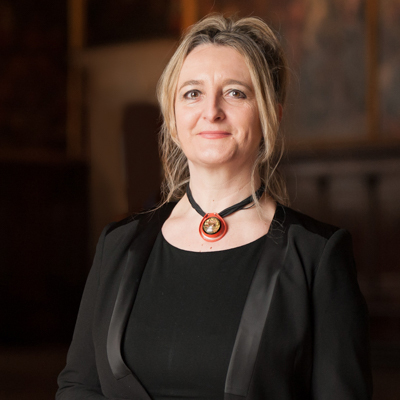 Martina’s conviviality and venetianess even are for me best embodied in her splendid altana. A truly unique place, where Martina hosts friends for social aperitivi which are unlike any other. Martina also likes to have dinner there and, whenever she can, simply stretch out and relax with a good book. “When it’s warm, at night, I get up just to go look at the moon…even in winter…” she tells me. From Spring to the end of October, breakfast is served on the altana in Martina’s household, and at Christmas‘ time years ago she even braved the cold and had dinner there. 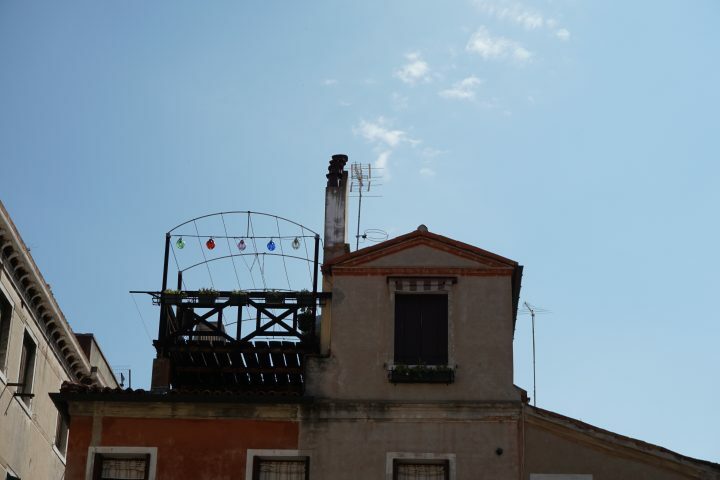 Martina’s house is a late 17th century building, and this special corner propped on the roof is the perfect place where she “can stay out in the open air and the light of day”. Martina’s passion for altane is long-standing, and she has worked hard and long to finally earn permission to have one. But once you finally have an altana, looking after it is no easy task: you need to scrape, sand, and give it a good lick of primer, so that wind and rain don’t damage the wood. Here are a few verses written by my friend’s mother which she dedicated to the altana: “Dalla sera alla mattina è apparsa un’altana sul tetto di Martina, trasportata dal vento o piovuta dal cielo mirabile evento…” (“From evening to morning an altana appeared on Martina’s roof, transported by the wind or fallen from the sky, what an incredible event…”). Altana seems to derive from the Latin term “altus” (tall/high). Taking out the Venetian dictionary by Giuseppe Boerio, we read that the altana is a “loggia aperta di tavole, riparata da spallette e posta sopra una casa per gli usi domestici” (“an open loggia with tables, encircled by parapets and placed on top of a house for domestic uses”). The term “altana”, or to be precise “atana” appears for the first time in 1224. 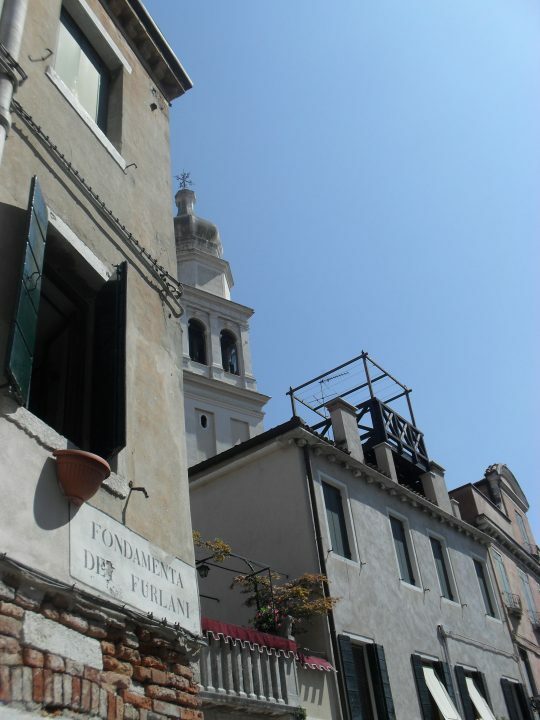 In his Vita dei Veneziani nel ‘300 Bartolomeo Cecchetti, the then director of the Venice State Archives, speaks of altane built “davanti le case” (“in front of houses”) and “somiglianti ai liagò” (“similar to liagò”, which are small wooden balconies on the side of a building). 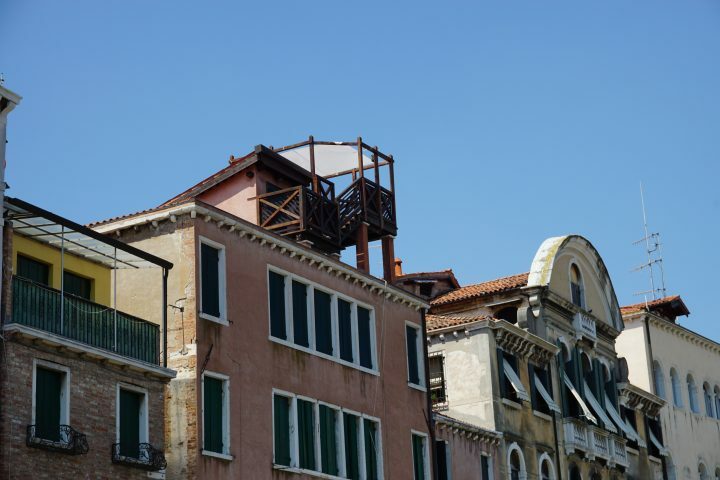 From as early as the 12th century, Venetian houses featured external add-ons such as balconies or terraces on the roof or other loggias of various dimensions. 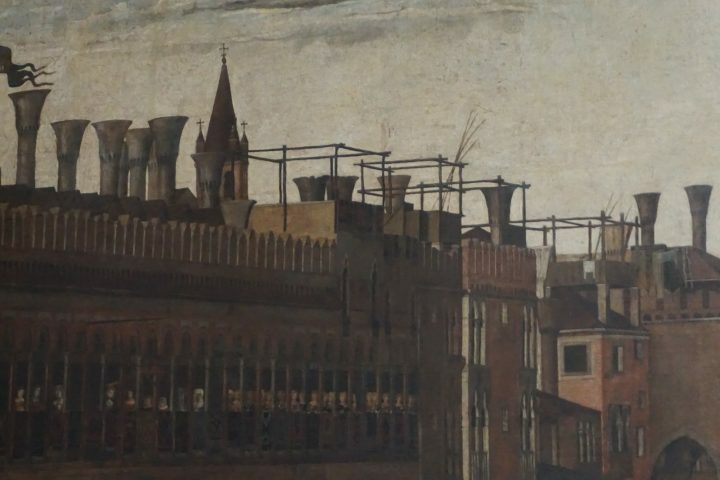 But it is only in the 15th century that altane start being built on the roofs of houses. 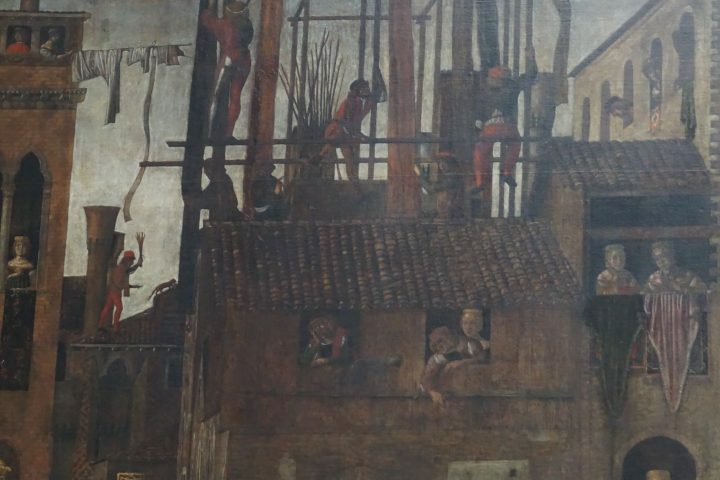 During the Republic, the construction was overseen by the Magistratura dei Giudici del Piovego, a public office whose job it was to release licences to build and restore altane. The most ancient ones, dating back to 12th-14th century, were almost always made of wood and only rarely of stone, whereas the iron ones would have to wait a century at least. 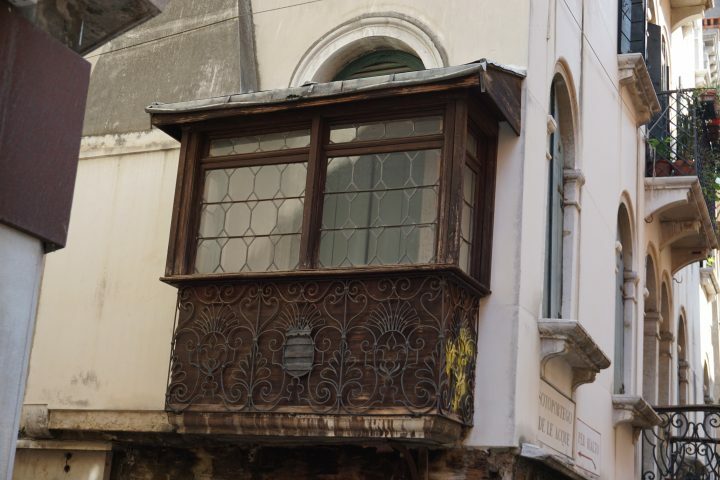 Reading Le altane di Venezia, an immensely fascinating book by Giorgiana Bacchin and Elisabetta Pasqualin, we discover that altanas today, just like in the past, lie on a wooden floor which in turn rests on a number of small stone pillars or bricks. The wood used for altane has always been larch, being both conveniently light and extremely resistant to the salt air. 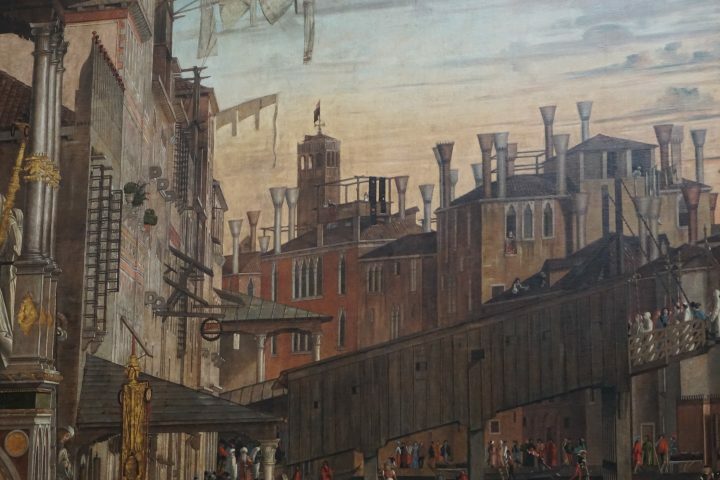 Immortalised by the likes of Canaletto, Vittore Carpaccio and Gentile Bellini, and also Luca Carlevarijs and Michele Marieschi, the Venetian altane were privileged spots from which to admire the numerous shows of public life, such as street processions or festivities in the squares; to this day they are strategic viewpoints in the city, where, for example, one can marvel at the riveting firework display on the night of the Redentore. 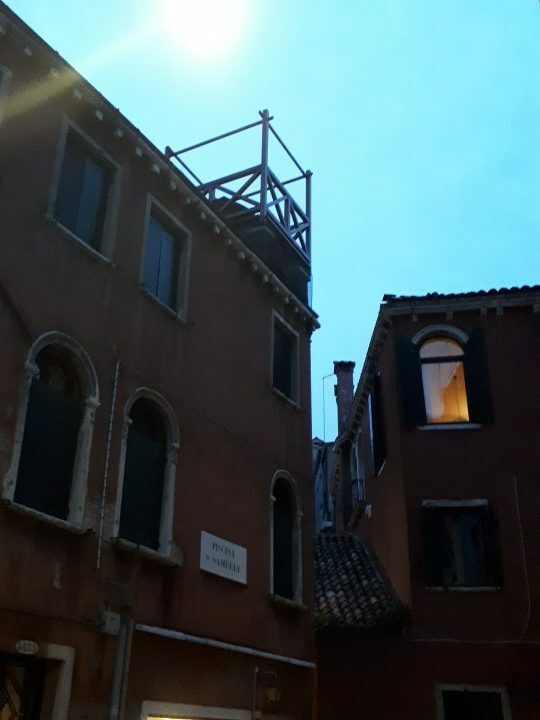 Altane had also defensive purposes, as they were used to spot ships approaching, but they were also instrumental in defending Venice against air raid attacks during the First World War. 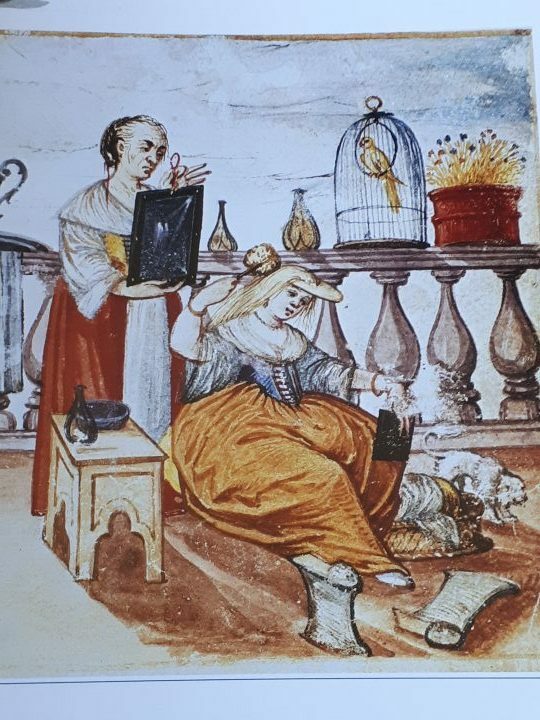 During the Renaissance, the altane were often used for the “bionda”, that is, the hair dye operation also known as “acqua di gioventù” (“water of youth”), which Venetian women would use to turn their hair blonde (in fact, more of a blonde-ginger colour). The recipes for this were many and very elaborate, and to know more about this I highly recommend Cristina Taddeo’s post Donne vanitose a Venezia. 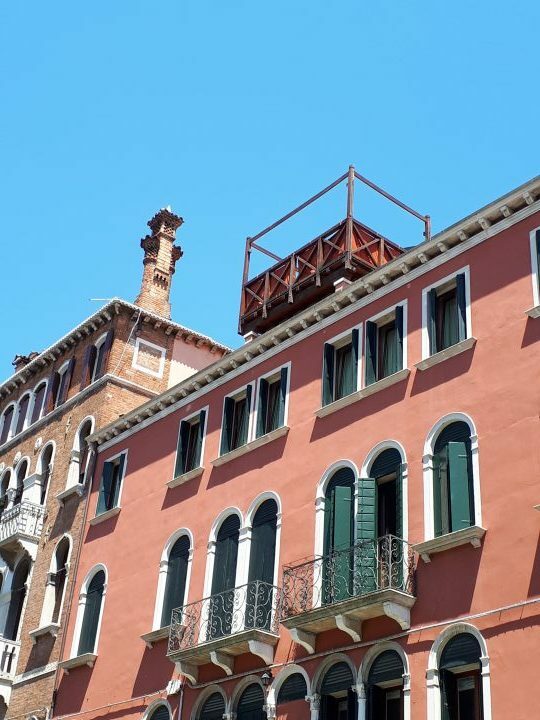 When the sun would shine brightest, Venetian women could be seen sitting on an altana for hours on end until their hair turned the right colour. 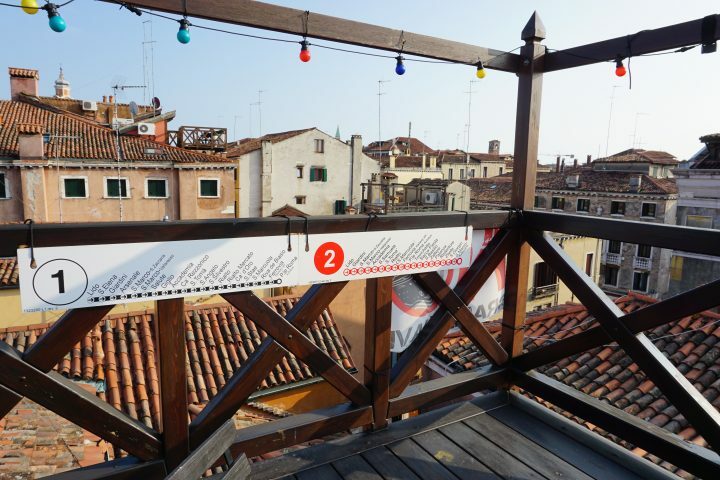 Where can you see altane in Venice? Everywhere…there is no corner of the city without its fair share of altane. Let’s discover them together!